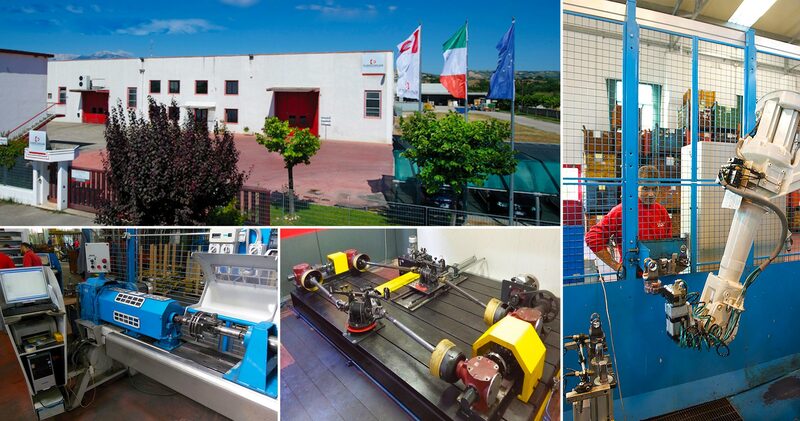 Eurocardan S.p.A. is situated in the industrial area of Val di Sangro, in Atessa (Chieti). The company has an experience of more than thirty years in the components industry, especially in the agricultural machines sector, and was founded further to customers, demands of high quality drivelines. Eurocardan cardanic transmissions meet a wide range of applicative requirements for all those agricultural applications which need power transmission. The York® telescopic profile original design is based on the concept that the three-contact transmission is the type which offers the most even and regular sub-division of the forces and surface pressures between pipes, thereby preventing any false contacts or uneven stress levels on the various support surfaces which would otherwise jeopardize the duration of the system itself. The TEQ line is interchangeable with the lemon and star profile product lines of other manufacturers available on the market, but the improvement of the yoke shapes offers a better torque transmission and the quality price ratio is unique. This type of transmission are characterized by higher rotational speed (up to 2000 rpm), greater compactness, higher class precision and closer tolerances. PLUS series is characterized by a line of driveshaft in sizes 4, 6, 8 and 10 that grant better performances in terms of durability and crosses quality. Eurocardan offers a wide range of telescopic solutions that allows the motion transmission in several applications. They are the most important part of the drive shaft since they directly condition the durability of it. Their utilization in drive shaft transmission allows to significantly reduce the cost of storage and repair. The drive shafts must be attached to the tractor’s power take-off (PTO) and to the implement’s one (PIC, PowerInput Connection). Technology and dynamism are the main values of Eurocardan spa. Eurocardan has always the same goal to be able to understand the needs of customers and society, finding new technologies to meet them. We have created this tool to let you look for products or spare parts.